If you get pulled over, you may be issued a ticket. Paying a fine and attending a court hearing are two things drivers aim to avoid. If you receive multiple traffic violations, you may be labeled a habitual traffic offender. This can lead to hefty fines or even license suspension. The experts at Drivers-Licenses.org know what it takes to avoid receiving multiple traffic violations, and these tips can prevent you from becoming a repeat offender. You can’t control other cars on the road, but you can make sure you are driving in the safest way possible. Not all accidents can be prevented, but if you practice safe driving habits, you can decrease the chances of getting into a collision. If you avoid speeding and keep a safe distance from other cars, you are less likely to get pulled over or cause an accident. Keeping your eyes off your phone and on the road is extremely important. And, remaining alert will greatly reduce the chances of any harm to your vehicle or you. If you are aware of what is going on around you, you can become a defensive driver and avoid any and all traffic offenses. You never know what situation you may come across on the road. Drivers that are prepared for whatever comes their way are less likely to receive repeat traffic offenses. The team at Drivers-Licenses.org recommends that adult drivers enroll in defensive driving courses to better their driving skills and to enhance their knowledge of traffic laws. Defensive driving courses place emphasis on how to properly share the road with other vehicles, including trucks and motorcycles. Participating in a course can help you to stay up-to-date on traffic laws and learn how to drive in unfavorable conditions due to inclement weather. Completing a defensive driving class can also land you a car insurance discount, which is a definite perk in being a knowledgeable driver. Participating in a course can sometimes dismiss a traffic ticket you have received or erase driving points on your license. This is a great option for repeat traffic offenders that want to improve their driving records. Contact your local DMV office to see what classes are offered in your area. Purchasing a new car is usually exciting and somewhat of a relief, especially if your old car has been giving you problems for a long time. With all the makes and models available it’s important to do your research. The experts at Drivers-Licenses.org recommend choosing a car with safety features that will help you become a safer driver. Newer cars are now equipped with cameras that help you back up your car. This covers the blind spots that you would otherwise overlook. Some cars even have a crash avoidance system installed. This system can apply the brakes for you if you are about to crash, and this can save you the trouble and the cost of a ticket. Choosing a car with an anti-lock brake system can give you peace of mind knowing your wheels will not lock up if you must suddenly brake. 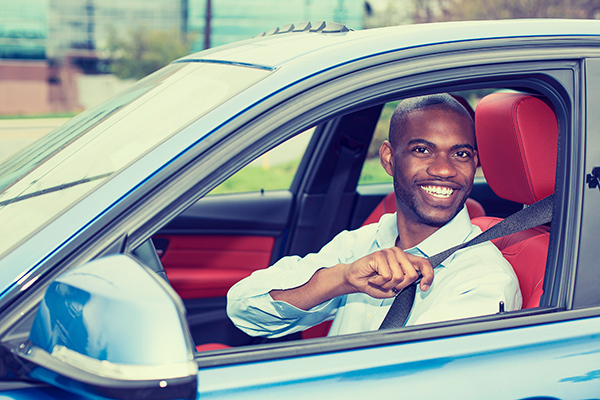 Choosing a car that will help you stay accident-free is a big step in avoiding future traffic offenses.